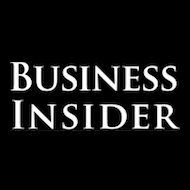 Business Insider is one of the leading Business and finance news sites online. Precious metals have certainly caught a lot of attention in the past year or so. Whether it has been related to the ongoing Euro crisis, consistent/persistent inflation expectations throughout the world or money printing at seemingly every central bank, the price of gold and silver have become investment stars. Any time there is a sustained price movement in an asset there will always be those that consider it a “bubble.” It is hard not to think that way since we have gained so much experience with asset bubbles - we begin to see them everywhere. For bubbles to expand investors need to be all on the same side of the trade. In other words, for gold prices to consistently rise there needs to be a steady and increasing stream of investor money purchasing gold. These buyers far outweigh sellers and the imbalance grows to ridiculous proportions in the bubble’s dying days. For many, this aptly describes the current situation in precious metals right now. These gold/silver skeptics see the sheer number of TV commercials coupled with the constant bombardment of offers to buy physical gold on every street corner as proof that the bubble is close to its end. But this misses a couple of extremely important factors. First and foremost, Gold was always thought the barbaric metal, an indisputable metal that could never be conjured by any amount of alchemy. This is the entire basis for its timeless store of value. Paper currencies can be manipulated and conjured, making their stores of values temporal. Gold’s properties as an exchange mechanism favored in times of crisis are unassailable since it is fixed by its physical quantity and widespread acceptance of the physical limitations. But where medieval alchemists failed, Wall Street’s financial innovation succeeded. It has only been a decade since investors believed that shorting a mortgage was not only impossible, but lacking any innate value. That solid foundational belief in the mortgage market was obliterated by the advancement of credit derivatives into synthetic MBS. And just as mortgage derivatives have been conjured out of nothing, Wall Street (with a lot of help from central banks around the world) has created gold from paper. The precious metals futures markets are supposed to be backed by “physical” metal – in the event one counter party wants to settle a contract with actual, physical gold. 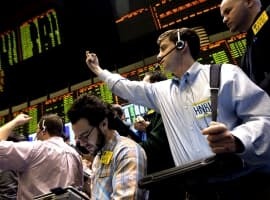 Certainly an atypical occurrence since it is assumed most futures participants are either speculating or hedging, but an important one nonetheless. The divergent thoughts on the meaning of “physical” in the precious metals markets come down to whether one believes the metals markets are different from financial futures markets. 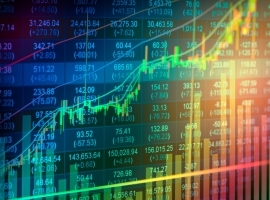 In the treasury futures markets, an investor will settle any contract with cash rather than actual delivery of treasury securities because in its most basic, philosophical level, treasuries and cash are identical commodities (the former simply represents an arranged structure of the latter). Likewise, equity futures are settled for cash since the entire intent behind equity investing is increasing future cash potential. 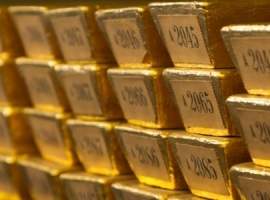 To simplify this issue, it has been noted that for every ounce of physical gold there are as many as 100 claims on it through derivative contracts. To put this in the perspective of investors in derivatives, every 100 ounces of contract trading has only 1 ounce in actual physical metal backing it up. In this context you can see why the difference in demands for physical settlement are important. If gold futures investors are simply expressing economic views through the price of gold with the idea of increasing their stock of fiat cash, then there is no problem. But if gold investors are intent on increasing their stock of gold, there is a big problem (especially if China, India, Russia, etc, continue to buy physical metal). And this brings us back to the TV commercials – they are there to capture every amount of physical gold (and silver) possible because there is such a shortage. The supply/demand equation is in favor of rising prices. The only mechanism by which these prices can be suppressed is by the continued creation of short positions in the derivatives markets – which is nothing more than conjuring gold from thin air. But conjuring has huge limitations when you are massively short an asset that continues to rise in price. Metals dealers need grandma’s old gold rings and your little-used gold watch just to maintain deliverable stock. This includes the recent moves by JP Morgan and the CME to begin accepting gold bullion as collateral against margin trades (as an alternative to fiat money). By taking gold bullion as collateral, JP Morgan (the largest metals short/manipulator) gains additional access to the badly needed metal. If I were thinking about using bullion as collateral, I would certainly hesitate. How likely is it that you would ever get it back? Instead it seems realistic that your good bullion would be returned to you in paper form. As long as this supply shortage continues the price of gold and silver are not exhibiting anything remotely like bubble behavior. Demand for the metal will continue to grow until the supply catches up. The shortage of physical metal guarantees it. Full disclosure: ACM currently holds long positions of physical metal mutual funds in client accounts.